I know, I know! 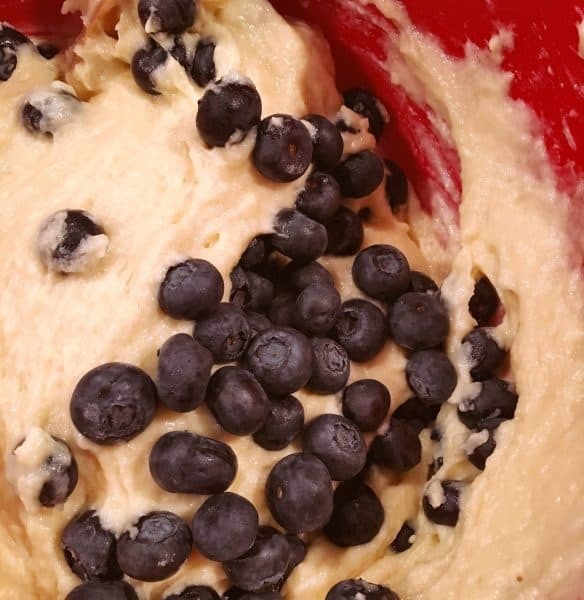 I already have a blueberry muffin recipe on the blog. Those are a dinner muffin. 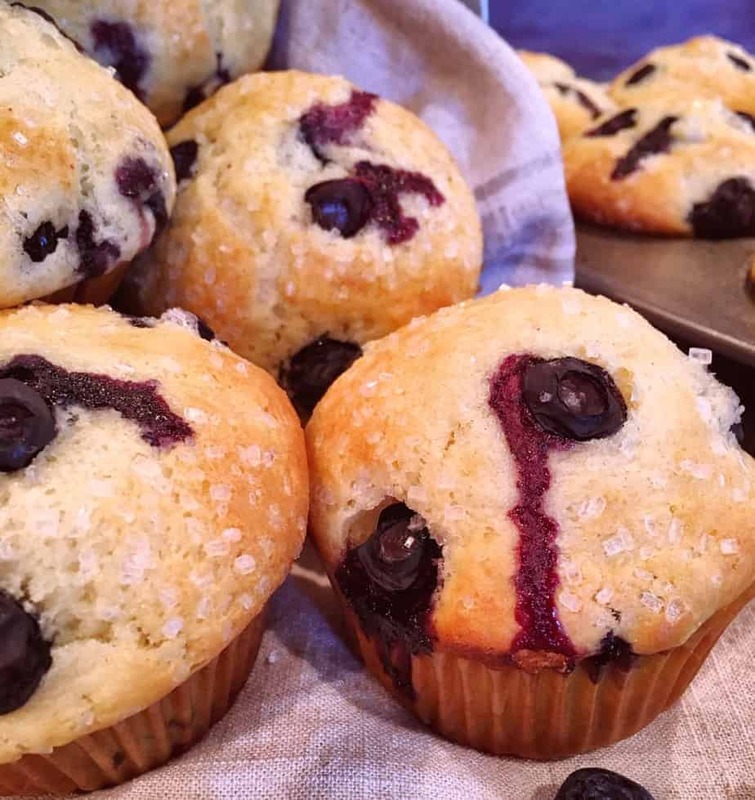 These, ah-hem… are Breakfast Blueberry Muffins! They have magnificent plump rounded tops, are moist, light, sweet, and full of tender juicy fresh blueberries. I had an entire box of fresh blueberries last week. Which lead to my craving a “blueberry” baked good. Something sweet and totally naughty! Preheat oven to 400°. Line a standard size muffin tin with parchment paper liners. (I purchased mine at Wal-mart for .99 cents. Because we only have the best liners here on Venus!) Spray each one with non-stick baking spray. 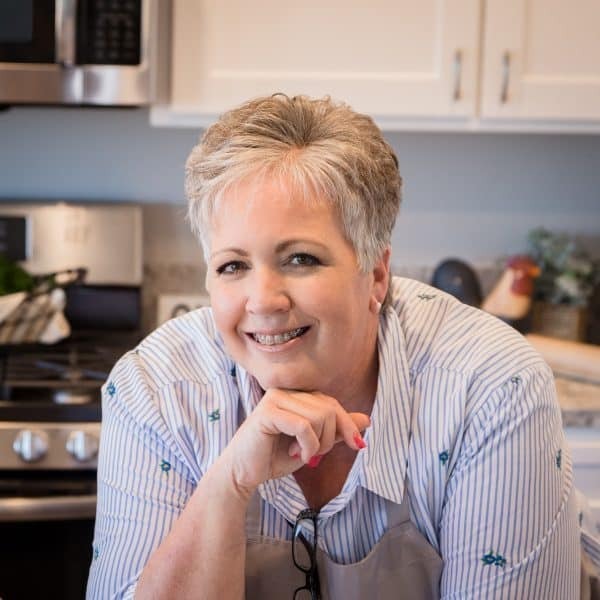 In a smaller bowl, whisk together buttermilk, oil, eggs, and vanilla extract until smooth. 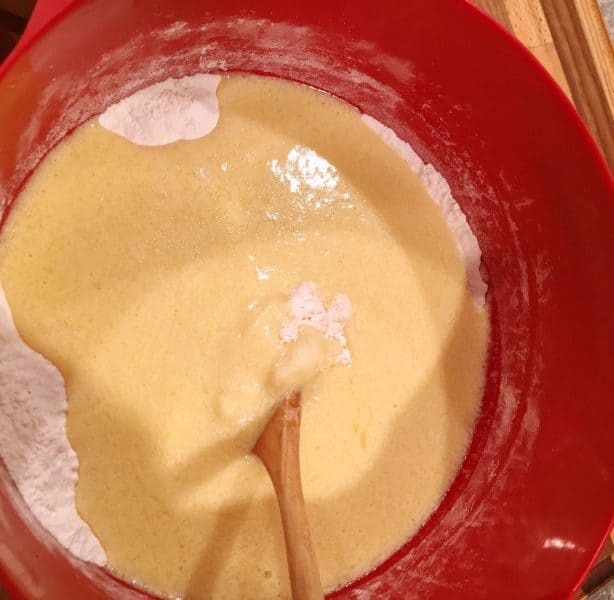 Gradually mix the buttermilk mixture into the flour mixture, stirring gently and being careful not to over mix the batter. TIP: For tender muffins it’s important not to over mix the batter. Just enough to combine the wet ingredients into the dry. 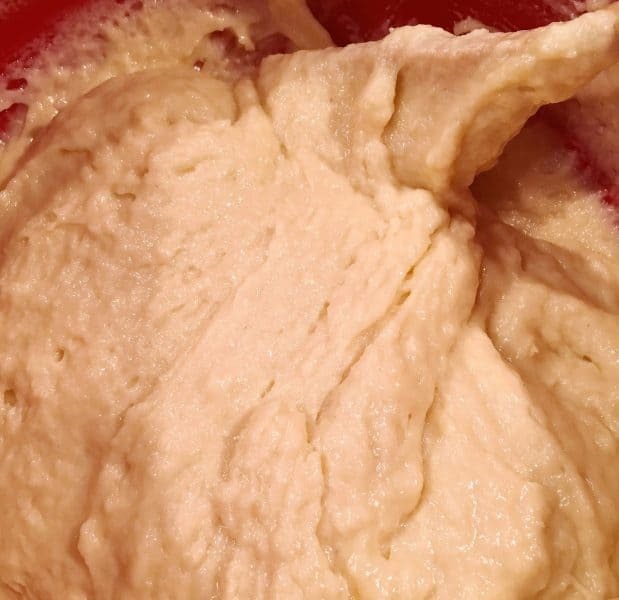 The batter will still be slightly lumpy and thick. That’s exactly the texture we want. Add fresh blueberries…those deep dark purple gems of joy! Gently fold berries into the batter. 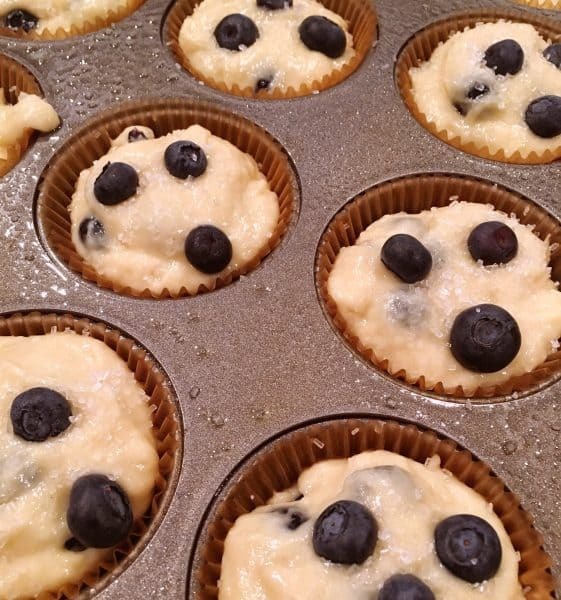 Use a large scoop to divide the batter evenly into each muffin cup. Please note…They will be filled to the very top. Now, I’ll be honest…I was very nervous to do this. I had visions of this batter bubbling over the top of the cups and dripping down onto the bottom of my oven. It was not a pretty picture! However, this recipe is so wonderful that the tops just rise and mind their own business! 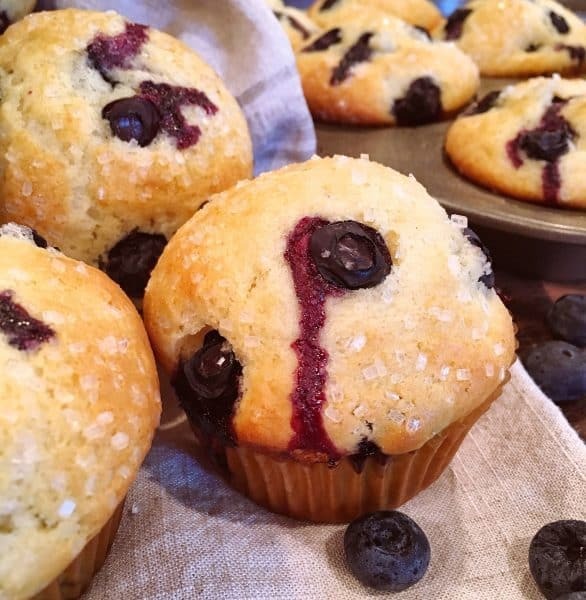 TIP: Poke a few fresh berries, about 3, on top of each muffin. It’s makes them look pretty! We are all about the “pretty” around here! Bake at 400 degrees for 22-26 minutes. Mine took about 24! 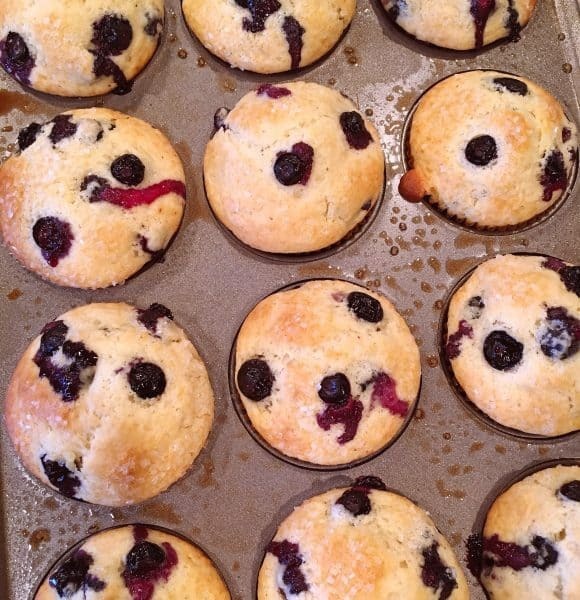 I squealed with delight when I saw how beautifully these muffins rose! The tops are big and tall, and golden brown! I was drooling! Transfer to a cooling rack…a COOLING RACK…not your mouth! Okay…you can move them to your mouth…but watch out cause they are HOT! Those little berries can burn yer mouth friends. They melt in your mouth. Great with a pat of butter or without! I should warn ya…one won’t be enough! Thankfully this recipe makes 12 large muffins plus one or two extra! Store any left overs…if there are any…in an air tight container. They reheat perfectly in the microwave so you can enjoy them the next day too! 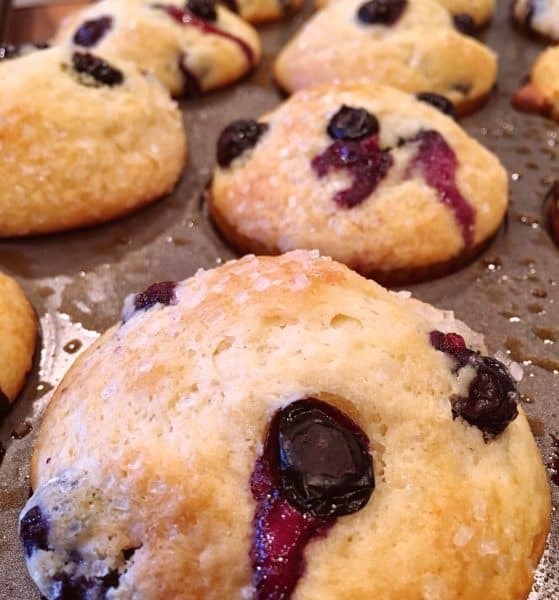 These are moist, tender, with hints of vanilla, bursts of blueberry, and the added crunchy sweetness of coarse sugar. Every component is there for the perfect muffin! 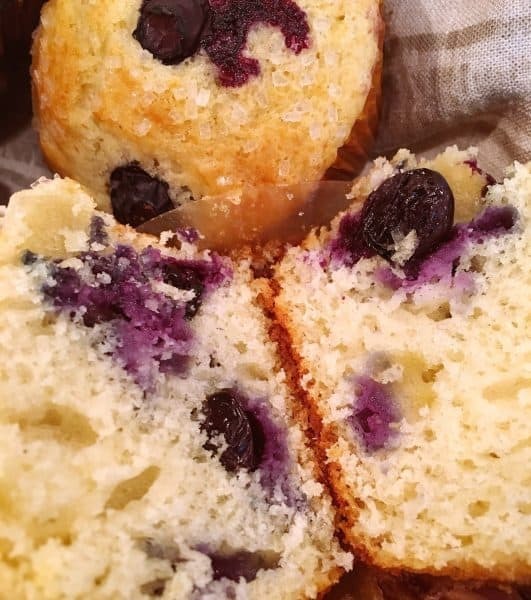 Thankfully these beautiful Breakfast Blueberry Muffins lived up to my expectations! I know they’ll live up to your expectations too! They’re a great way to start the day! 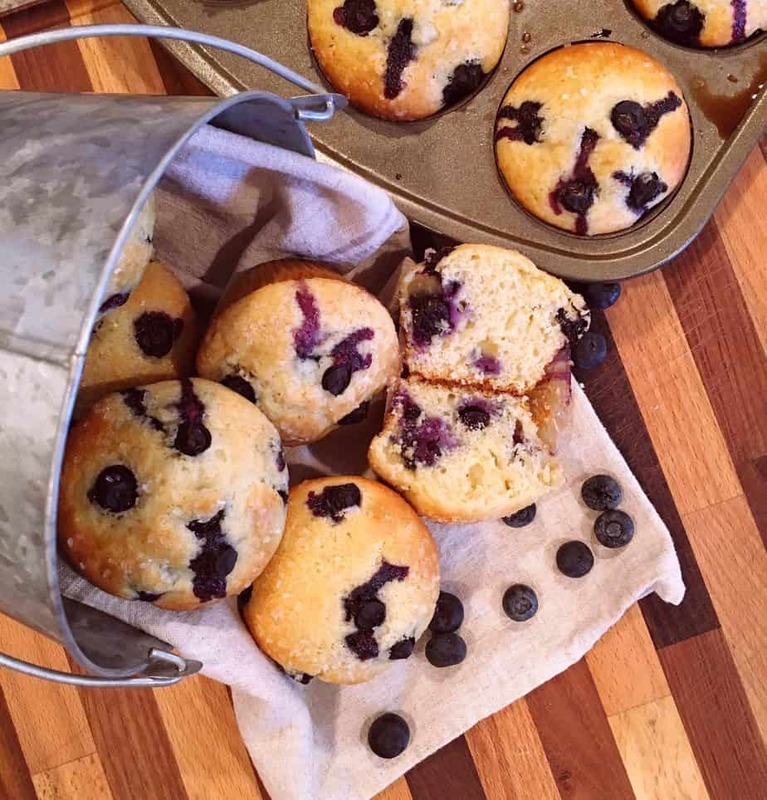 I’m sharing these perfect Breakfast Blueberry Muffins over on the following link parties. 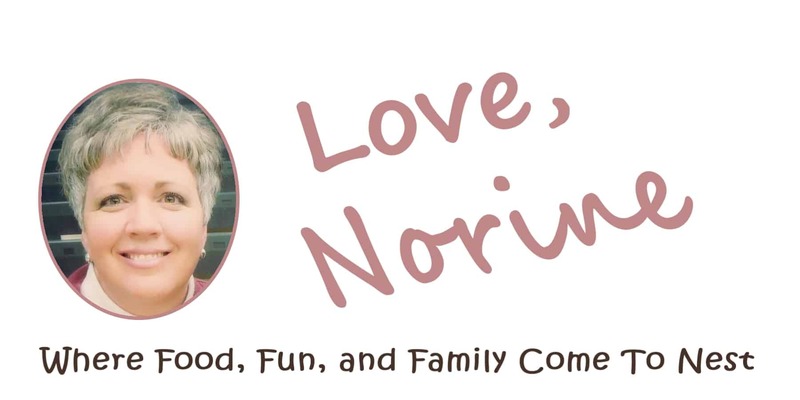 Just click the link to visit all the fun! 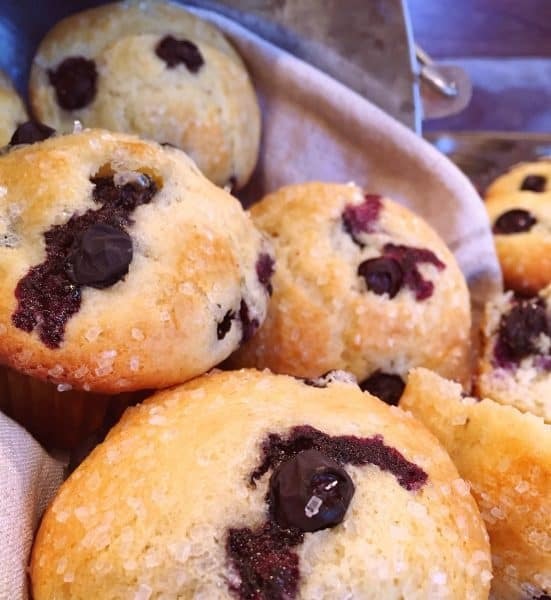 Tender, moist, loaded with fresh blueberries, these delicious Breakfast Muffins are truly the BEST and a great way treat to wake up to! Preheat oven to 400°. Line a standard size muffin tin with parchment paper liners. Spray each one with non-stick cooking spray. 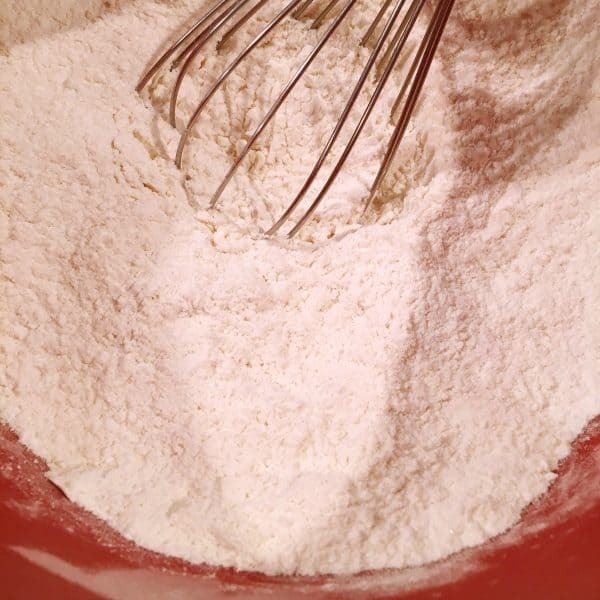 In a large bowl, mix together flour, sugar baking powder, baking soda, and salt. Gradually mix the buttermilk into the flour mixture, stirring gently, being careful not to over mix. 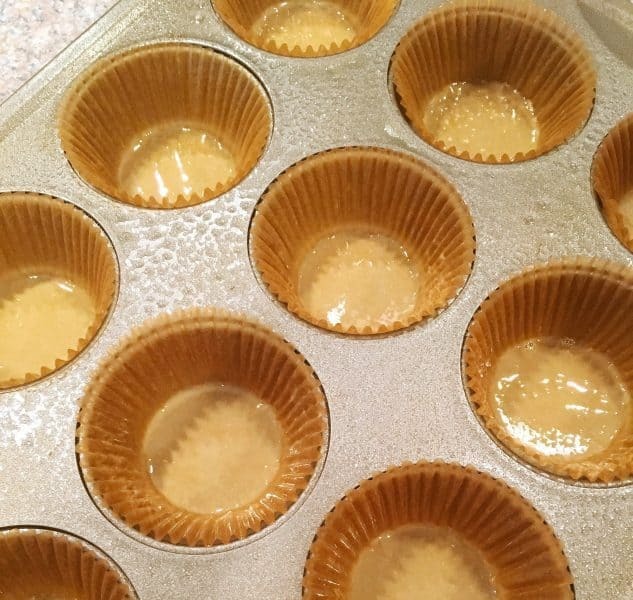 Use the large scoop to divide the batter evenly into each muffin cup. They will be filled to the very top. Sprinkle generously with sparkling sugar. Bake at 400° for 22-26 minutes, or until a toothpick inserted into the center of the muffin comes out clean. Cool for 5 minutes in the pan and then transfer to a cooling rack. Store in an airtight container. What is the measurement for the blueberries? Well that would be helpful wouldn’t it! I’m so sorry! 1 1/2 cups of fresh blueberries with a few reserved to place on top before baking. I went in and added to the recipe card. Thanks so much for bringing it to my attention. 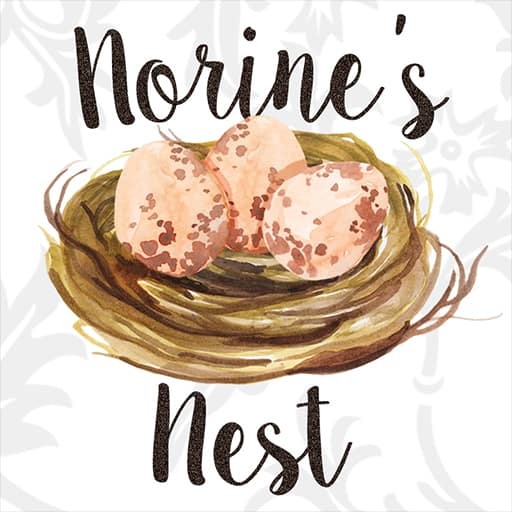 Thanks for stopping by and I hope you enjoy these really wonderful muffins.